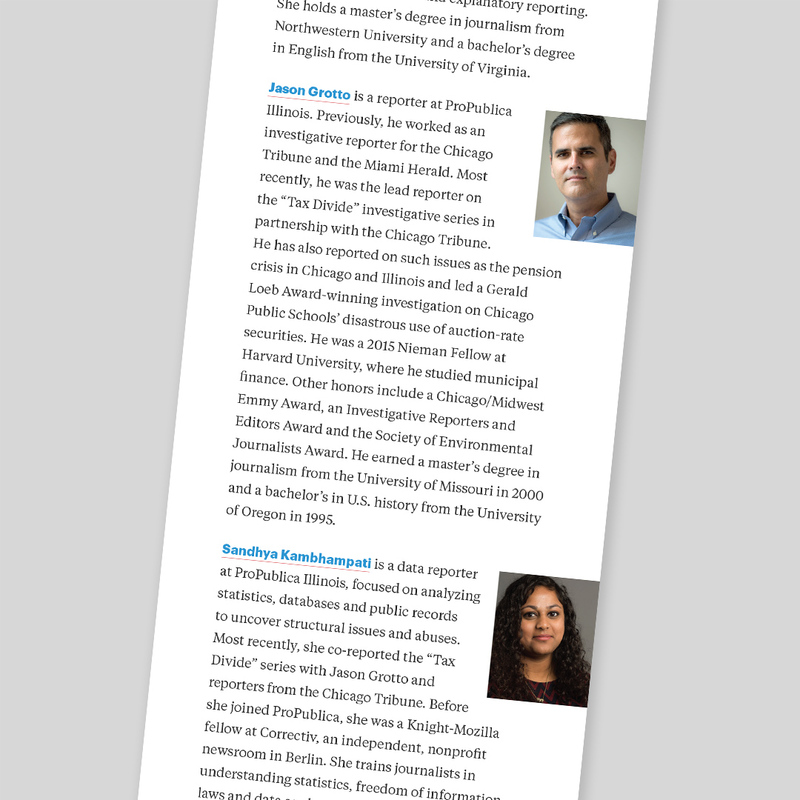 Founded in 2017 and celebrating their first anniversary, ProPublica Illinois is an independent, nonprofit newsroom that produces investigative journalism with moral force. 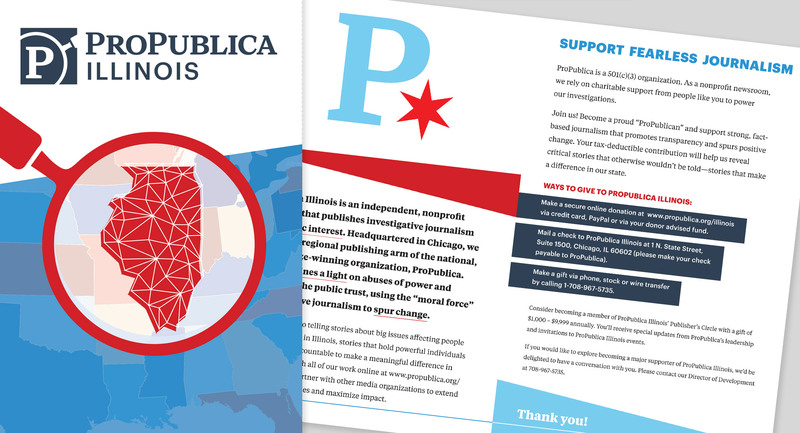 Headquartered in Chicago, they are the first regional publishing operation of ProPublica, dedicated to stories about big issues that affect people living and working in the state of Illinois. We are huge fans of ProPublica’s hard work and tireless, deeply meaningful reporting, so we were thrilled when they asked us to create a fundraising brochure for them. As a nonprofit, the organization relies on donors to fund the work they do. 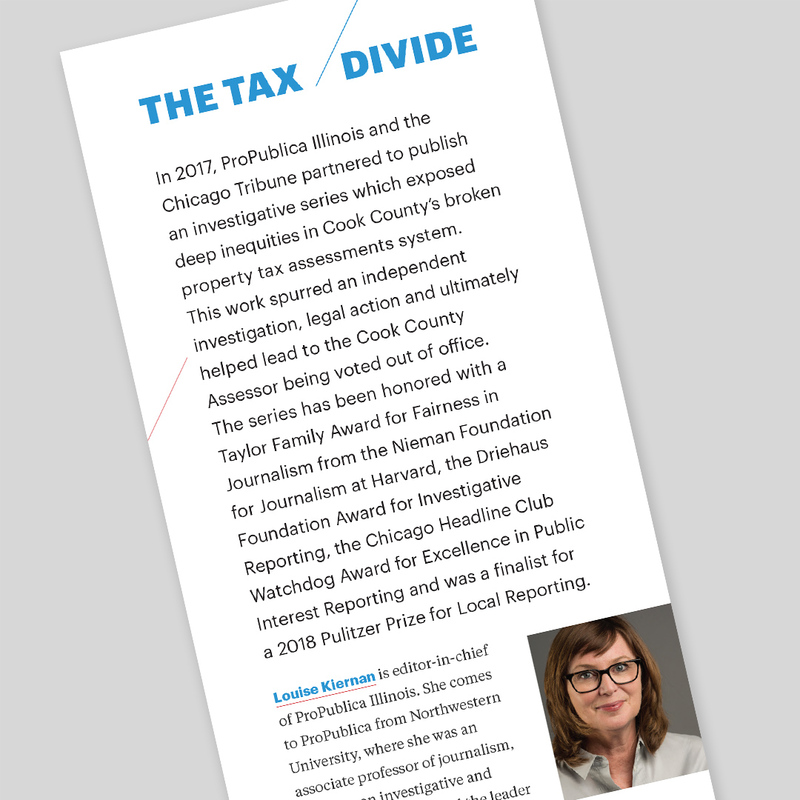 In order to quickly communicate the local feel of ProPublica Illinois, we created a piece that is bold and clear, and with a distinctive Chicago feel.